If you’re looking for the best quality bakeware accessories, you’ve come to the right place! Sweet Treat Supply has top-notch cake pan bakeware, extract flavors for baking, baking materials, decorative sprinkles and more. Whether you’re shopping for wholesale bakery supplies or planning to stock your home kitchen, you’re sure to find what you need here. Narrow your search by brand or pricing, or look through the categories in this section of our store to find baking ingredients, cake pans and baking tools that suit your needs. At Sweet Treat Supply, we’re proud to offer great prices on a variety of baking supplies and equipment. You’re sure to love our selection of baking flavors and supplies at low prices, so take a look around and find supplies for less than you’ll find elsewhere. Don’t forget to take advantage of our free shipping on all orders of $100 or more. Aluminum cake pans are used by everyone, but none are as highly regarded by professional home bakers as the Magic Line medium loaf pan. It’s measured at 7-1/2” x 3-1/2” x 2-1/4” and comes with tapered sides for a guaranteed even cook. A unique opportunity to obtain this special offer for Lucks Dec-ons Sugar Decorations Large Eyes. 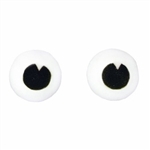 Use for eyes on your decorated characters or place in cupcakes for spooky Halloween party or for a children birthday. Use these fun, colorful eyes are perfect for creating faces on your cupcakes and other desserts. Use for eyes on your decorated characters or place in chocolate molds before filling. This ATV cake pan is fun for the adventurer. The 4-wheeler cake pan can be used exactly like aluminum pans when placed on a shiny cookie sheet in a conventional oven, or used in the microwave. Acacia Powder from LorAnn Oils and Flavors. A natural additive, Gum Arabic, is colorless, tasteless and odorless and is used in commercial food processing to thicken, emulsify and stabilize foods. 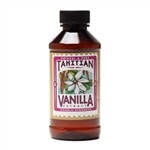 Amaretto Flavor for Candy & Baking from LorAnn Oils & Flavors. A little goes a long way! This edible gold glitter by CK products is designed for cake decorating. Adds fabulous sparkle to your tasty desserts. Show your pride in America or find other uses for this extra fine glitter with lots of sparkle. Used for cake decorating and in the craft industry. Disco Glitters contain only ingredients that are NON-TOXIC. Apple Flavor for Candy & Baking from LorAnn Oils & Flavors. A little goes a long way! Use for tortes, strudels and streusels or make individual desserts. Mix with our yellow or white cake mix for apple pie cake and cupcakes. Apricot Flavor for Candy & Baking from LorAnn Oils & Flavors. A little goes a long way! Use these on your fall themed treats at Halloween and pumpkin carving parties. Perfect treat topper for snacks on your fall foliage tour. Great for Fund Raising Activities, this lightweight, durable Pantastic Pan plastic pan by CK Products can be used exactly like aluminum pans when placed on a shiny cookie sheet in a conventional oven or use in the microwave. Perfect toppers for your baby shower or birthday party. Whether a Baby Shower or First Birthday have fun with this large Baby Bottle mold. This lightweight, durable Pantastic Pan Micro-Size plastic pan by CK Products can be used exactly like aluminum pans when placed on a shiny cookie sheet in a conventional oven or use in the microwave. Make cakes, refrigerated appetizers and tortes when you use this pan for birthdays and baby showers. Use with your favorite cake recipe for baby showers and gender reveal parties. The onesie cake pan is too large for a padded envelope. Weight reflects box for shipping. Mix with vodka, paint and let dry or just sprinkle on for treats for Valentines, baby showers and weddings. Use this for birthdays and baby showers for cakes, tortes or refrigerated layered desserts.